Obituary for Cheryl A. 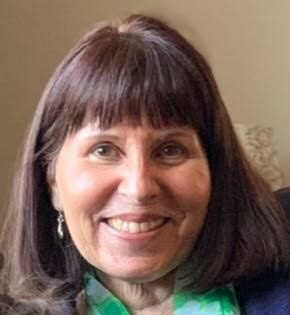 (Dumas) Perry | Brown Funeral Homes, Inc.
Cheryl A. Perry, 62, of Mapleville, RI, passed away March 31, 2019, at the Milford Regional Medical Center, MA. She was the loving wife of the late Joseph E. Perry. She was born in Woonsocket, a daughter of the late Raymond Dumas and the granddaughter of the late Victoria "Edna" Dumas. Cheryl formerly worked for the Stork’s Nest Child Academy where she enjoyed child care and was the previous owner, with her husband Joe, of the former, Tops n Donuts in Woonsocket. She was a communicant of Our Lady Good Help Church. Cheryl was a loving mother and grandmother and enjoyed spending time with her grandchildren who were the loves of her life. She is survived by her children, Danielle Perry and Nathan Perry and his wife Danielle, all of Burrillville, grandchildren, Aubree and Carter Gaudet and Saylor Perry, her siblings, James of FL, Robert of FL, Ricky of Woonsocket and William Dumas of Milford, MA and Carol Motta of Coventry. She was preceded in death by her brother, Joseph Dumas. Her funeral will be held Saturday at 8:30 am from the Keene-Brown Funeral Home, 445 Greenville Rd., North Smithfield with a Mass of Christian Burial at 10 am in Our Lady of Good Help Church, Victory Hwy., Mapleville. Burial will follow in Resurrection Cemetery in Cumberland. Calling hours will be held Friday evening from 5-8 pm. Donations in her memory may be made to the Dana-Farber/Brigham and Women's Cancer Center at Milford Regional Medical Center, 20 Prospect St., Milford, MA 01757.